Another year of blogging has come and gone. Consistency remains a challenge, but I have committed to writing at least one post a week. I also discovered Grammarly a few months back and have fallen in love with this tool. Since I am not a strong writer to begin with, this tool, along with the superb proofreading by my mom, has helped to get thoughts articulated more clearly. As I reflect on my own growth and learning over the year I can definitely see how this has impacted my writing as well as my work with schools, districts, and organizations. 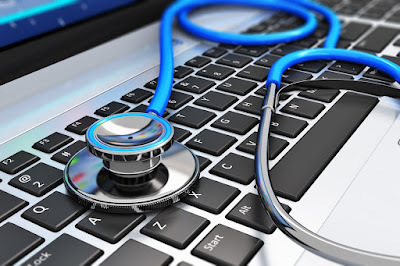 Evidence, accountability, research, and efficacy were the most common themes woven into the majority of my writings, which resonated loudly with readers of this blog. As the world continues to change at an exponential rate there needs to be more of a focus on preparing competent learners as opposed to those who are just skilled. Skills focus on the “what” in terms of the abilities a student needs to perform a specific task or activity. They don’t provide enough connection to the how. Competencies take this to the next level by translating skills into behaviors that demonstrate what has been learned and mastered in a competent fashion. 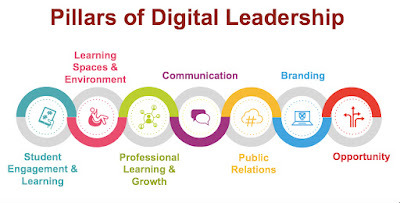 Success in a digital world will rely on much more than skills. It's time to shift our focus and energy on developing and assessing core and innovative competencies that will serve all students now and in the future. The key word in the title above is effective as it means different things to different people. The question provides a great opportunity for all of us to critically reflect upon the current role technology plays in education. Effective use should result in evidence of improved learning outcomes, alignment to standards, going well beyond just increases in engagement, informing instruction, and transforming assessment. Taking a critical lens to why and how technology is being used in classrooms and schools will only help improve efficacy (more on this below). This post represents a much deeper dive into the topic of effective use. 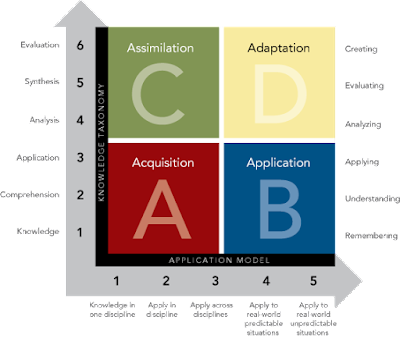 The main focus is how educators can use the Rigor Relevance Framework to improve instructional design. It provides a solid lens to look at the learning tasks that students are engaged in and redesigns them in ways that move away from telling us what they know and instead showing whether or not they actually understand. Pertinent examples are illustrated to show what rigorous digital performance tasks look like in practice. In short, efficacy is the degree to which desired outcomes and goals are achieved. Applying this concept to digital learning and innovative ideas can go a long way to solidifying the use of technology as an established practice, not just a frill or add-on. This is just the beginning. When integrating technology there needs to be a Return on Instruction (ROI) that results in evidence of improved student learning outcomes. In this post, I highlight 5 key areas that can put your classroom, school, district, or organization on a path to digital efficacy. These include essential questions, research, practicality, evidence/accountability, and reflection. To learn more about how efficacy can be achieved check out the Digital Practice Assessment (DPA). My first post of 2017 really resonated with readers. It encouraged educators and schools today to make learning REAL: relevant, engaging, authentic, and lasting. In addition to explaining why this is important, the how was mapped out through various practical tips and examples. Well, there you have it. Thanks for reading and here’s to an amazing 2018! 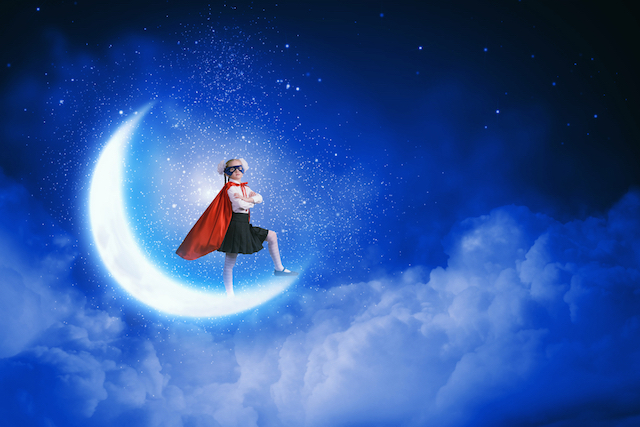 Tonight before bed, pull out your trusty journal and start making a list of all of the reasons that you haven’t been able to achieve your dreams. Think of every reason big and small, and then read over that list. As you read over your list, notice that these reasons on the page are keeping you from getting the results you want and need to move forward. 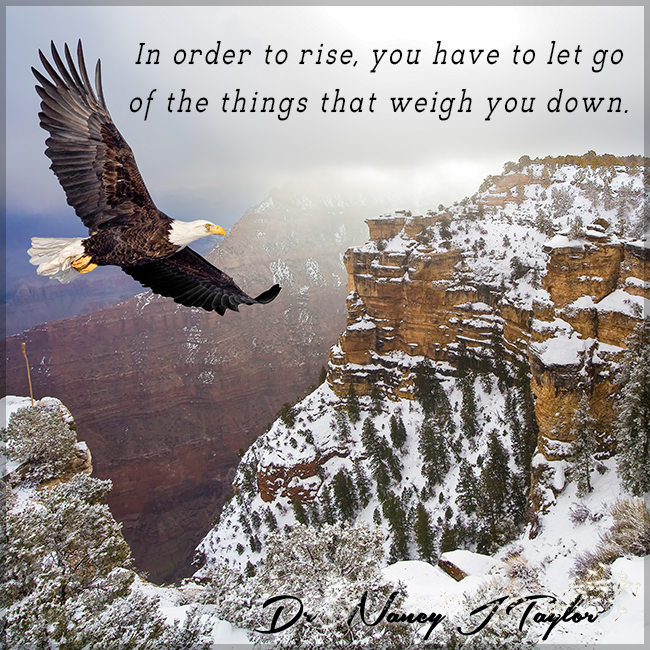 When we value something, there is more resolve to overcome obstacles and challenges to accomplish a specified goal. Many times it is our mindset that holds us back. When you really think about it the number one adversary that each of us faces on a daily basis rests between our shoulders. We think we can't do certain things due to physical or mental limitations. In some cases this might be true, passion has a funny way of helping us overcome certain perceived limitations. When passion is combined with intrinsic motivation, the impossible suddenly becomes possible. I, for one, can think back to many instances in both my professional and personal life where excuses got the better of me. Lately, I have been much better on this front as I have tried to foster more of a growth mindset. My thinking was pushed even further when I watched the video below. Take a few minutes to watch yourself and be prepared for an emotional rollercoaster as Cliff Devries shows all of us that excuses should not hold us back. After watching and reflecting on this video, I am going to think twice about any excuse I might develop that prevents me from at least not trying to accomplish a goal or task. Successful change and consistent improvement rely on many interconnected factors. I mention this, as it is important to note that it isn’t one particular action or person that ultimately moves an idea or initiative into something that positively impacts school culture. This applies to the success that my staff and I were able to be a part of during our digital transformation a few years back. The focus might have been on digital, and I was the initial catalyst that got the ball rolling, but it was the collective action of my teachers, students, and other administrators who embraced different and better while showing evidence of improvement that resulted in improved outcomes. What many people also don’t realize is that even though all eyes were on the digital aspects of our transformation, it was the continuous focus on improving teaching and learning that ultimately led to results. I have routinely written and spoken about the concept of a Return on Instruction (ROI), which states that when integrating technology or implementing innovative ideas the result should be evidence of improved student learning outcomes. This makes sense on many fronts, as we are accountable first and foremost to our learners as well as our other stakeholders. To help achieve an ROI we increased the number of formal observations and evaluations, collected learning artifacts (lesson plans, assessments, student work, etc.) and had staff create portfolios to show growth and changes to practice. Additionally, my admin team and I conducted learning walks every day. The process of learning walks or walk-throughs as many schools refer to them is to get a glimpse of what is happening in classrooms to then provide non-evaluative feedback for improvement. They serve an integral role as “soft” accountability mechanisms to spark conversations and reflections on practice. The more we observe and talk about practice the better equipped we are to make and lead change. Another positive outcome of learning walks is the building of better relationships since the non-evaluative nature of the process focuses on meaningful growth around targeted look fors. We developed look fors that aligned to both our McREL observation/evaluation tool to prepare teachers for these in the future and the purposeful use of technology to improve student learning. It’s been a few years now since I left the principalship to pursue my new career as a Senior Fellow with the International Center for Leadership in Education (ICLE). In addition to keynote presentations and workshops I typically facilitate, I have also been engaged in job-embedded coaching with districts across the country. One district, in particular, is the Downingtown Area School District (DASD) in Pennsylvania. 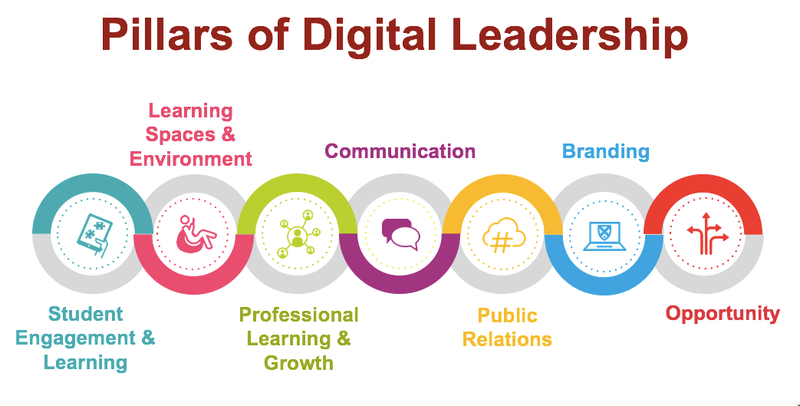 Their leadership team, comprised of building and district administrators as well as instructional coaches, has worked face to face with me on a deep dive into the Pillars of Digital Leadership. They have also been completing job-embedded tasks after these sessions and completed a reflective questionnaire as part of ICLE’s Digital Practice Assessment (DPA) process. Our collective goal is to create an immersive experience that moves beyond the typical one and done professional development. Under the leadership of Matt Friedman and Jonathan Blow from Downingtown, coaching days with me were added so that we could all get into classrooms and conduct learning walks. The inherent value of this exercise was to observe and collect evidence to determine instructional areas that needed the most focus. After our first session, which was very successful based on the feedback received, they pushed me to think about targeted look fors that could be integrated into our next set of learning walks to support their digital transformation efforts across the district further. Challenge accepted! Authentic context – Do the students know how their learning aligns to or how it can be applied to a real-world context? Do they understand why they are learning what they are and how they will use it? 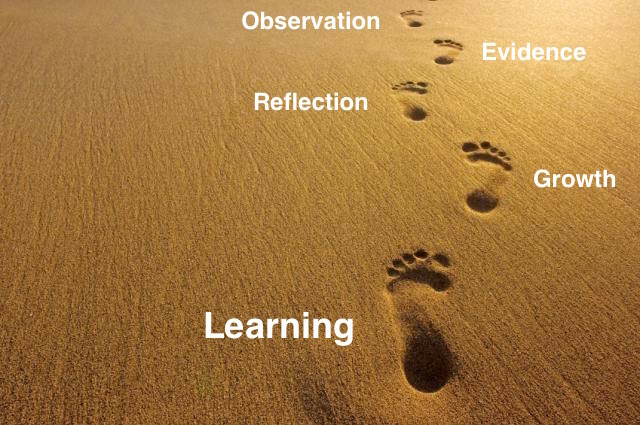 Reflection - Is there an opportunity for students to reflect on their learning at some point? Use of classroom/school space (arrangement, furniture, choice, flexibility, comfort, lighting, temperature, mobility, acoustics, etc.) – Are desks in rows or arranged in a way to foster collaboration? Are there flexible/comfortable seating options? Does the room offer an appropriate level of stimulation? Would you want to learn in this space? After sharing the areas of focus above, Jonathan created a Google Form for the Downingtown leaders to use as we all engaged in learning walks across the district. You can access and download the form HERE if you wish. The group conversations and reflection that ensued after the walks were conducted was terrific! My role was to act as a facilitator to engage the group in critical discussions on what they saw. As you see from the form, the primary focus is on learning, not technology. The two elements should go hand in hand, not treated as separate entities. It is also important to note that not every lesson should or will incorporate technology. With any learning walk form or tool, there has to be a great deal of flexibility regarding how you use it. You would be hard pressed to see all of the look fors listed above as a learning walk is brief and only gives you a snapshot of what is (or isn’t) taking place. This is why I encouraged DASD leaders to take pictures of learning artifacts and ask questions of both the students and learners to develop a more holistic view. Another way to use it would be to just focus on 3-4 look fors during a walking cycle. However, the most critical aspect of the learning walk process is what is done afterward to improve practice. Collaborative discussion as a leadership team about what can be improved as well as timely feedback to teachers is both crucial for success. If you have any feedback on the look fors or the learning walk form please share in the comments below. Schools continue to make investments in technology to engage students better, improve outcomes, and prepare all learners for the new world of work. We are beginning to see more and more innovative uses of technology not just to personalize, but also to make the learning process more personal. When a solid pedagogical foundation is in place, the stage is set to challenge students to demonstrate thinking and learning in ways that we could never have imagined a few short years ago. 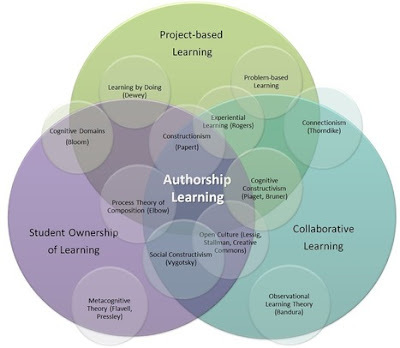 This, combined with relevance grounded in authentic contexts and applications, empowers students to own their learning. As I continue to think through the use of technology in schools I am always drawn back to this guiding question – How can students use technology in ways that they couldn’t without it? To improve the learning experience for kids, we must continue to develop ways where technology becomes a ubiquitous component of our work, but also leads to a demonstrated improvement in practice. 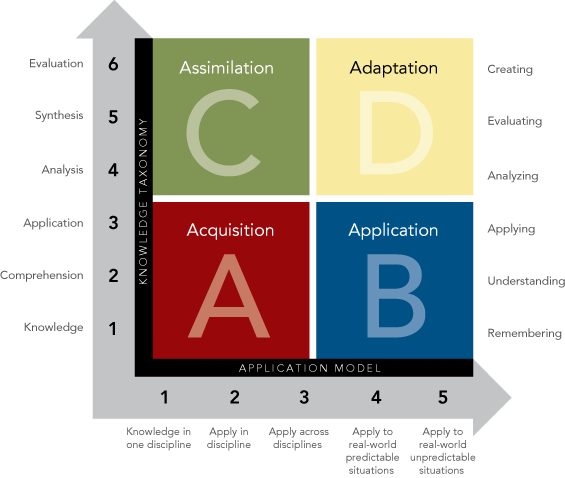 Here is where the tool supports or enhances the pedagogical technique to aid in conceptual mastery, construct new knowledge, or demonstrate learning through the creation of a learning artifact. One such method that is rapidly gaining traction is blended learning. Blended instruction is what the teacher does with technology. 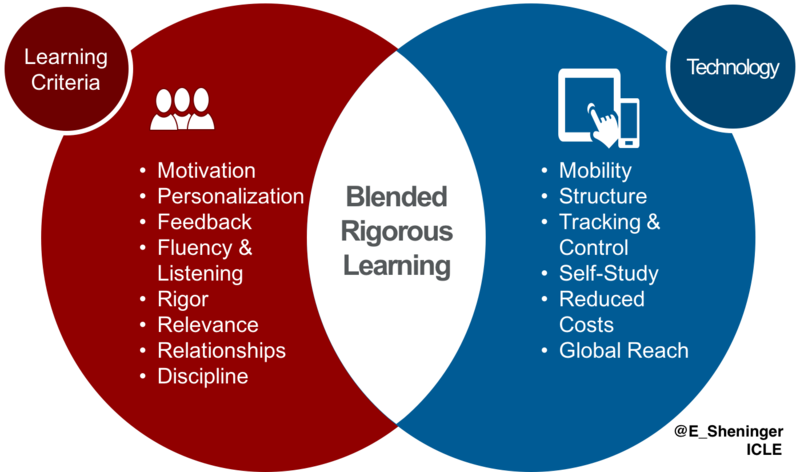 Blended learning is where students use tech to have control over path, place, and pace. For me at least, the distinction above brings a great deal of context to the discussion of how technology can improve learning for our students. Now I am not saying it is bad practice when educators integrate tools such as Kahoot, Plickers, Socrative, Mentimeter, Padlet, and much more into their instruction. As long as the level of questioning focuses on the higher levels of knowledge, technology and students can show what they understand that’s a good thing. However, this is not blended learning. To see some of the many-blended learning models available click HERE. If students genuinely own their learning, then they have to have some level of control over path, place, and pace while receiving more personalized feedback regarding standard and concept attainment. 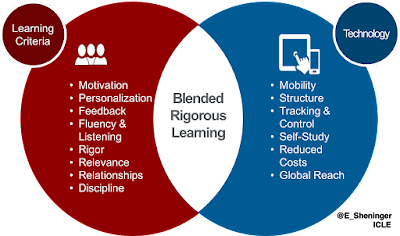 The image below outlines some critical considerations when incorporating blended learning in the classroom or school. I have been very impressed by how Kirk Elementary and Wells Elementary in the Cypress-Fairbanks Independent School District (CFISD) have been implementing blended learning on their campuses. In each case, the station rotation model has been the preferred strategy. I have observed students rotating through various stations that include teacher-directed, independent reading or practice using technology, formative assessment, flipped activity, and collaborative problem-solving. In some cases, students have individual learning playlists to work through. Students rotate through the various stations, and this is typically triggered by music. The use of mobile technology and flexible seating provides students choices as to where they will learn. In the example above technology is blended into their learning experience so that students have some control over path, pace, and place. All in all, the significant shift that we should focus on is what the student is purposefully doing with the technology. Student agency is at the heart of effective blended learning. It is also important that it supports high-level learning, provides better means of assessment, and improves feedback. Blended instruction is a start, but blended learning is where our practice should move. There is nothing easy about change. The process is fraught with many obstacles and challenges. Once such challenge that I have yet to write about is that for many of us it is tough to let go of certain things. Our reluctance or inability to move forward when faced with a decision to remain the course or move into uncharted territory can stop the change process dead in its tracks before it even has a chance to begin. Typically, there are many factors in play, but three common behaviors that keep many of us stuck in our ways include fear, mental habits, and stubbornness. During different points of my professional career, I had to come to grips with each of these factors and how they were paralyzing my role in the change process. Once I was able to overcome them the next step was helping others to do the same. We are all afraid of something. However, we cannot let it stop us from improving professional practice. Fear of the unknown or failure holds us back from moving forward with change. I love this quote from Zig Ziglar, “F-E-A-R has two meanings: 'Forget Everything and Run' or 'Face Everything and Rise.' The choice is yours.” Life is all about choices. 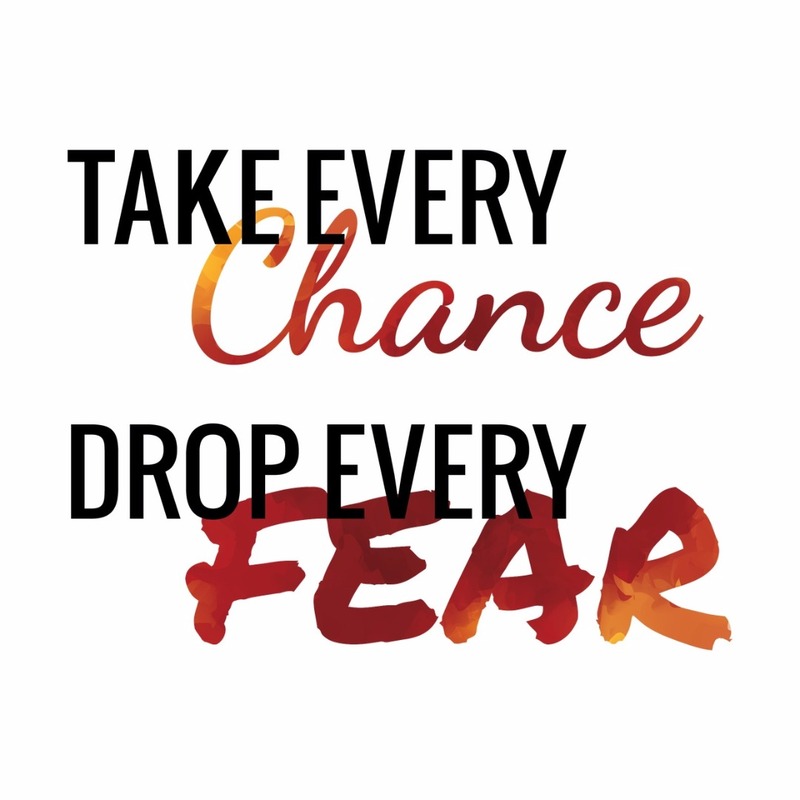 We can ill afford to allow fear to hold our learners and us back from what’s possible. It is essential to understand that if we fear the risk, then we will never reap the reward that taking the risk provides. When trying something new or different the chances are good that you will fail. If and when you do, learn from the experience and use the power of reflection to improve practice or yourself. 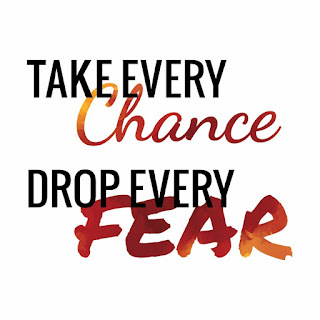 By letting go of some of your fear you will be surprised at what you can accomplish. Another issue many people face and have a difficulty overcoming is mental habits. As Jason Silva states in one of my favorite videos, “Once we create a comfort zone we rarely step outside that comfort zone.” When it comes to education, we see many practices that fall into this category, but more on these later. The toughest adversary that many of us face rests between our shoulders in the form of our minds. We often think we can’t do certain things or we have been lulled into a sense of complacency. Without opening up the mind to new ideas and ways of doing things, change will never happen. Think about your mental habits that are holding you back from implementing innovative change. What do you need to let go of first to improve? How might you help your learners do the same within their context? The last issue that plagues the change process is good old-fashioned stubbornness. It is a trait that can destroy friendships, marriages, and professional relationships. I don’t know if anyone knows for sure why people are stubborn, but my thinking is that both fear and mental habits play their part. What are you holding on to that might not be in the best interests of your students or the people you work with? I believe this question can serve as a catalyst to begin the process of overcoming certain elements that negatively impact not only our practice but also the relationships we strive to create and support. Below is a list of five things that I believe need to be overcome if meaningful change and improvement in education is the goal. Each is influenced by fear, mental habits, and/or stubbornness in some way. The status quo in schools is like a warm blanket on a frigid night – no one wants to get out from underneath it. When it has a tight grip on a school culture, any attempt at change is met with resistance or blatant inaction. You can all but hear the whispers of this too shall pass, we’ll wait it out, they won’t hold us accountable, so I’m not changing, why risk it or everything is great because we have high test scores. Will you challenge the status quo to improve the educational experience for your learners? There is a great deal of research out there that supports changes to how educators grade and the use of homework. In light of what the research says and the negative impact on our learners, it has been difficult for educators and schools to let go of these two practices. We often assign homework and grade a certain way because that was either what was done to us as students or what we were taught to do during our teacher preparation programs. One of the most challenging initiatives I ever led as a principal was working with my staff to change how they graded. As our district took on homework. What will you do to improve these practices? In Learning Transformed Tom Murray and I highlight the research that illustrates how drive-by professional development has little, if any, impact on professional practice. The concept of development as a whole needs to change to a focus on professional learning that is research-based, job-embedded, practical and takes into account the real challenges educators face. On top of all this, follow-up and accountability are crucial if the goal is to scale the changes that are being supported by the investments in professional learning. How will you work to improve professional learning in your school or district? This is a two-part scenario. On the one hand, some people loathe technology and fail to embrace how it can transform teaching, learning, and leadership. The fact is technology is here to stay. The key is to develop ways to integrate it with purpose aligned to research-based pedagogical practices. On the other hand, some people are in love with the stuff and toys. Technology has the potential to support and enhance learning in ways that we can never have imagined a few years ago. However, we must not fall victim to the engagement trap and use technology in ways that just support low-level learning. How will you empower your kids to think and use technology to show that they understand while unlocking their potential? Has someone wronged you, rubbed you the wrong way, or just irritated you for whatever reason? Get over it! Please take a minute to read this article by Nancy Colier on the subject. As she states, “It’s not about the person who wronged you. It’s about who you want to be.” She continues to explain that the problem with grudges is that they don’t serve the purpose that they are there to serve. “They don’t make us feel better or heal our hurt. When it is all said and done we end up as proud owners of our grudges, but still without the experience of comfort that we ultimately crave, that we have craved since the original wounding.” What grudges are you willing to let go of to move forward for the greater common good? Once we better understand the causes of the adversity to change we can then begin to move forward. However, to do so, we must be willing to let go of practices and behaviors that are holding us, our schools, and most importantly our learners from opportunities for growth and improvement. To move forward, we must be willing to let go. There is no shortage of leadership advice available to anyone who wants some. 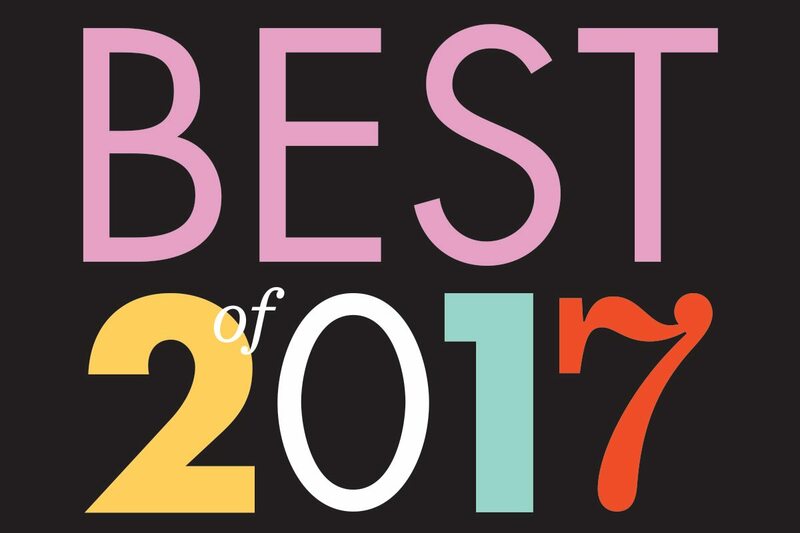 A quick Google search of the best lessons or advice in the topic will unveil a treasure trove of tips, strategies, and ideas that can help anyone become a better leader in a classroom, school, district, or organization. In my opinion, the best leadership lessons come from experience. Below are some key lessons I learned either as a principal or from other leaders that I had had the pleasure of working with throughout my career. There always seems to be an overemphasis on the vision aspect of change. A focus on the why is a great start, but the clarity of purpose and intent has to translate into action. What often happens is we get so wrapped up in the “fluff” that our focus on the how and actual evidence of improvement becomes a distant forethought. Real change relies on seeing the process through from vision to strategic plan and having accountability mechanisms in place to ensure efficacy. As I have mentioned in the past, leadership is not telling others what they should do, but instead showing them how to do it. This is why the concept of Return on Instruction (ROI) matters when it comes to technology and innovation. Accountability is the linchpin in the change process. Don’t expect others to do what you are not willing to do (or haven’t done) yourself. Everyone wants change, yet leading scalable efforts is a difficult task, to say the least. Getting everyone to embrace different and better is often easier said than done. Success in any change effort in a school or organization relies on the collective efforts of the majority. The best way to be a catalyst for change is to model expectations at the onset. Change begins with you. Opinions, research, and ideas provide the fuel, but the spark needed to ignite the process is one’s ability to act and then model expectations for others. Build relationships by seeing people for who they are. It all comes down to relationships. Without trust, there is no relationship. Without relationships, no real learning or change occurs. The ability to build powerful relationships with adults and our learners relies on our ability to be empathetic and not look through what is often a biased lens. There is good in every person, no matter what we might see or hear. Leadership is about bringing out the best in all and moving past mistakes to unleash potential. At times, we must also swallow our pride for the sake of building a relationship. We must believe in what others have to contribute to the greater good and not be so quick to write them off. It is easy to knock people down. Building people up is at the heart of empathetic leadership. In the end, the best leadership lessons don’t necessarily come from a book, article, or speaker but instead from what we learn during and after an experience. In the words of John Dewey, “We do not learn from experience... we learn from reflecting on experience.” Always make time to reflect on your experiences and then share lessons learned to push the rest of us to improve our practice. As many people know I am originally from the Northeastern part of the United States. I was born and raised in New Jersey, where I also became a teacher and eventually a principal. After meeting my wife in 2002, I moved to Staten Island, NY and resided there for thirteen years. To be honest, I never thought I would leave that area of the country as my wife, and I had such strong roots there. Things change, however. The successful digital transformation at the school where I was principal attracted a great deal of attention from the mainstream media, schools locally and globally, and organizations, in part because we were able to show efficacy in our work. It was at this time that I decided to take a calculated risk and attempt to help other schools scale their digital and innovative change efforts. As I transitioned from principal to Senior Fellow with the International Center for Leadership in Education (ICLE) my work began to take me all over the country and the world. I vividly remember the day when I was away working in Hawaii, and Staten Island got dumped with over a foot of snow. Shortly after I returned home, my wife sat me down and gave me an ultimatum. I either had to go back to being a principal so I could be home to shovel any and all snow in the future or we had to move somewhere else in the county where it was warm and didn’t snow at all. My wife knew full well how much I love the work that I do so out came a map of the United States and the discussions as to where we would raise our family for the foreseeable future began. During our discussions, I had to set my non-negotiables. She wanted warmth and no snow while I needed a huge airport that was centrally located to cut my flight times and connections down. There were only two realistic choices at this point, Dallas and Houston. Since Houston was a bit further south and we could get the exact home we wanted the decision was made. One other factor that weighed heavily in our decision-making process was the school district that our children would attend. The icing on the cake for me was that when it was all said and done taking into account our non-negotiables, we decided to build our home within the Cypress-Fairbanks Independent School District (CFISD). CFISD is an amazing school district that is not only one of the highest achieving large districts in the state of Texas, but also firmly committed to scaling innovative practices to improve learning for all 120,000 students. For the past year and a half, my team and I at ICLE have been assisting the district with doing Bring Your Own Technology (BYOT) K-12, incorporating blended learning, and aligning sound pedagogy to the use of flex spaces. We have also used our Digital Practice Assessment (DPA) process to help them determine where they are at, but more importantly where they want to be for their learners. Now back to my story. Shortly after arriving in the Houston area I was contacted by Cheryl Fisher, a local CFISD elementary principal. She had been following me on Twitter and asked if I would be willing to visit her school and see how they were implementing blended learning across all grade levels. What I saw just warmed my heart, but more on this later. A little over a year later Cheryl was named the principal of Wells Elementary, a brand-new school right smack in the middle of the community where I lived. I couldn’t control my excitement, but there was a challenge ahead in the form of my daughter, Isabella. Bella, who was in 4th grade at the time, had a big decision to make. Stay in the other community school where she had made friends for two years or go to a brand-new school for her last year of elementary school. To be honest, she was leaning on staying put. I discussed this with Cheryl, and she said quite bluntly, “If your daughter decides to come to Wells she will love learning every day.” Well, I was already hooked, but Cheryl also made the time to meet with Bella and explain in detail the vision she had for the learning culture at Wells. What followed was the waiting in anticipation of what Bella would decide to do. School-wide decision to have no homework. Students K-5 are empowered to use their technology to support their education as part of BYOT. In addition to this, technology is used to support and enhance learning while providing authentic opportunities to explore concepts. Strategic use of the station rotation blended learning model to maximize learning time and increase student agency. Incorporation of flexible learning spaces throughout the building. Portfolio-based assessment using Seesaw and Google Classroom to provide better feedback to students. 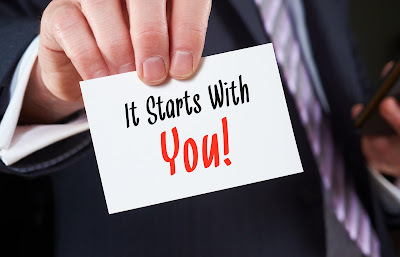 An entire staff that believes in the power of being connected and the importance of having a Personal Learning Network (PLN). Systemic use of a variety of social media tools to communicate with stakeholders and keep them in the know. I encourage you to check out this video where Cheryl and one of her teachers discuss the digital transformation at Wells Elementary. It is important to know I am not just making the casual statements about using only my parent lens. 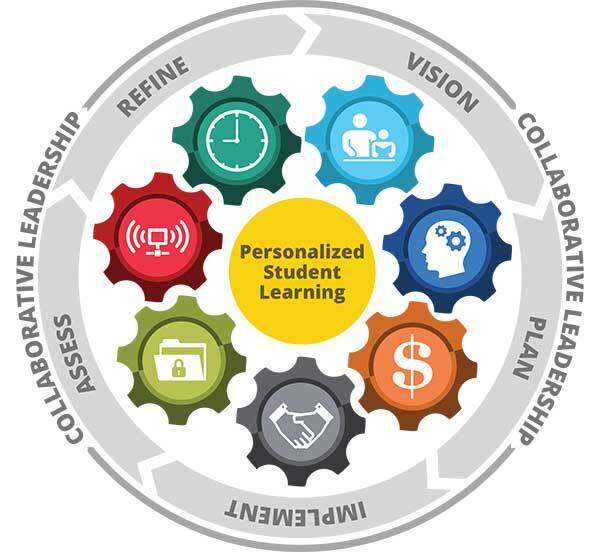 I am honored by the fact that I am the one who is engaged with Wells as part of ICLE’s partnership with CFISD to support the district with our Digital Leadership and Learning solutions. As the job-embedded coach for the school, I have been working with the teachers and administrators and will continue to do so throughout the school year. Even though there are some fantastic initiatives in place as mentioned above, the Wells community knows that there is room for improvement. This is the case in any classroom, school, or district. Together we are working on the pedagogical shifts needed to support their bold vision and plan for innovative learning. All in all, this is a school of dreams in my opinion. The fact that my daughter loves learning and is being prepared for her future means the world to my wife and me. Thank you to all the educators at Wells and CFISD who are have brought so much joy to my daughter. With the compelling learning opportunities she is experiencing, I hope that she will be further motivated to follow her dreams, no matter what they are. 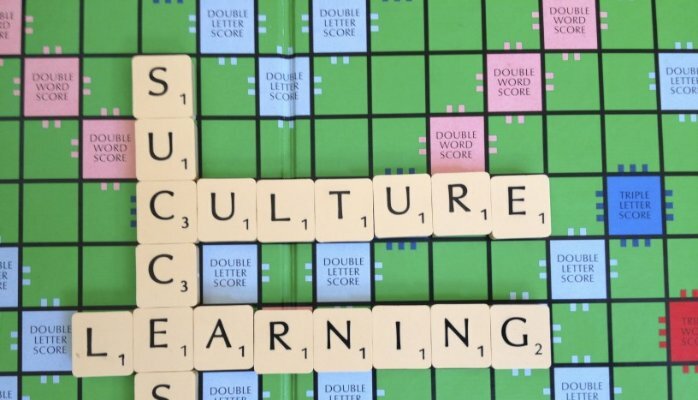 What makes a great and successful learning culture? If you were to ask the majority of stakeholders, they would typically say that a school or district that has high levels of achievement in the form of standardized test scores represents success. Many parents will choose to move to an area and raise their kids there for this reason alone. All one has to do is look at all the hoopla surrounding national and state rankings to see that this indeed is the case. Parents and community members observe these scores as they have the power to positively or negatively impact real estate values. No matter where your school or district lands in these rankings, there are always disgruntled people, unless you are number one. Achievement is often viewed as the single most important outcome of a thriving learning culture that is preparing students for the demands of their next stage in life, whether it is grade level promotion or moving onward to college or a career. However, those of us who work in education know that this is the furthest thing from the truth. The playing field is not equal in many parts of the world. Privilege is bestowed upon many by the zip code they live in or whether or not a privately funded education can be afforded. Thus, in many cases achievement is directly tied to income. Even so, it can still be debated whether this equates to a thriving and prosperous learning culture. It doesn’t matter how successful the adults think a learning culture is. Quite frankly, it’s not about us. Educators don’t work for administrators, central office, superintendents, heads of school, boards of education, or parents. We work for kids! Thus, the best way to get an accurate pulse of a particular learning culture is to engage students as to what they think about the educational experience they receive in school and then see how this compares with traditional metrics such as achievement and other forms of data. I am not saying achievement doesn’t matter. What I am saying is that the experiences that shape our learners and help them discover their true potential matter more. Some of the best learning that any of us ever experienced wasn’t given a mark, score, or grade. It was our ability to work through cognitive struggle, construct new knowledge, and authentically apply what we learned creatively that helped us develop a genuine appreciation for learning. Why are you learning what you are learning? How will you use what you are learning? What is missing from your learning experience? It is vital to continually put a critical lens to our work and look beyond what the majority of stakeholders see as the leading indicator for district or school success. Powerful qualities such as leadership, empathy, integrity, resilience, humility, creativity, and persistence can’t be measured per se, but are so crucial to future success. A thriving learning culture blends these elements to not only support the achievement of all learners but also to prepare them for their future. This is where mindset comes into play. 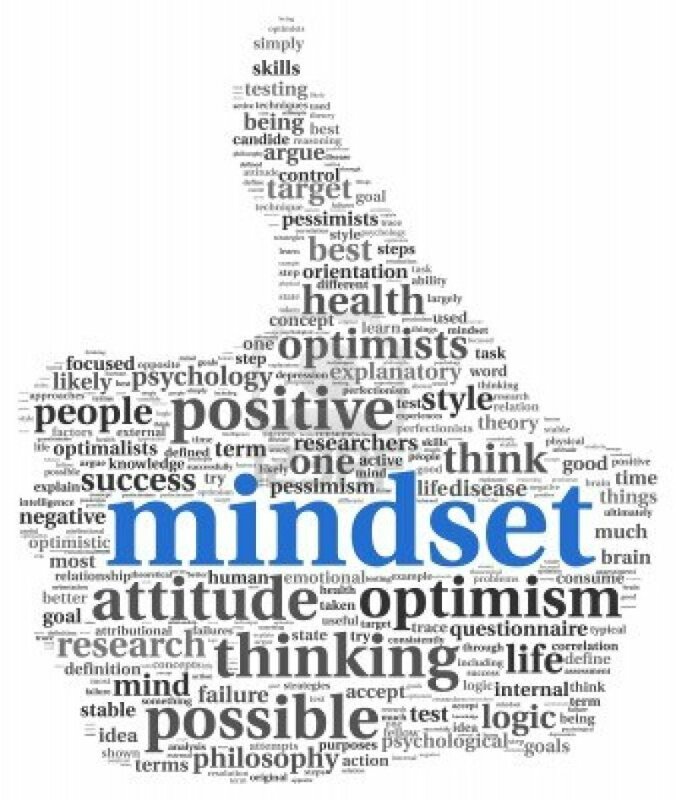 The hallmarks of a growth mindset include embracing challenges, persisting in the face of setbacks, seeing the effort as a path to mastery, learning from criticism, and finding lessons and inspiration in the success of others. A mindset shift is the first step, but then we have to act. Change begins with all of us. We must change ourselves first before we can expect others to follow suit. Recently I have been refining my latest keynote presentation on cultivating a transformational mindset amongst both learners and educators. The six essential elements that comprise this mindset shift include competency-based, entrepreneurial, maker, empathetic, efficacy, and storyteller. Preparing students for the new world of work require us all to embrace a bold new vision and strategy for transforming learning today. This might seem scary to some. Others might find it daunting or even unachievable considering the obstacles that lie ahead. It is natural to feel this way, but in the end, we have to think about the needs of those we serve – our students. For some context, I encourage you to watch this short, yet powerful video. It is all about the decisions and changes we don’t make that after time passes we come to regret. If we shift our initial approach to a challenge or impending decision through a different process, we can overcome the potential roadblock that our mind manifests. A transformational mindset focuses on the “what ifs” as opposed to the “yeah buts” and shuts the door on potential regrets. 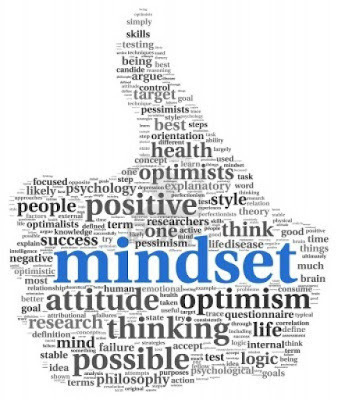 Changing outcomes begins with changing your mindset. Every day is a clean slate. Do the things you will regret not doing.